Jesse Lingard scored a brace for Manchester United, as they defeated Arsenal 3-1 at the Emirates on Saturday. Arsene Wenger’s men had remained unbeaten at home in the last 12 fixtures. However, they found themselves two goals down inside the opening quarter of the first half. Sead Kolasinac missed a pass, which allowed Antonio Valencia to step in and play a one-two with Paul Pogba, before slotting past Petr Cech. Anthony Martial then set up Lingard for his first goal. Alexandre Lacazette pulled one back for Arsenal, before Pogba again set up Lingard to tap into an empty net. 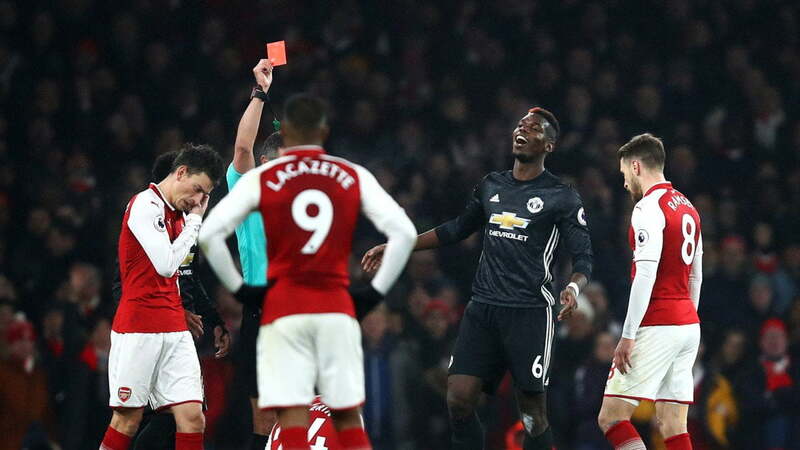 The France international was sent off for a foul on Hector Bellerin and will now miss next week’s Derby against Manchester City.